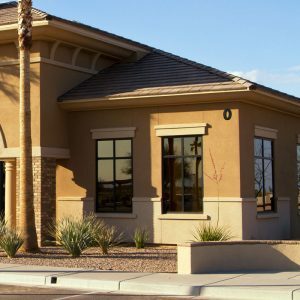 Commercial loans are essentially a debt-based arrangement that allows a business to meet its financing needs without being crushed under the upfront costs, regulations, and hurdles that accompany opening, owning, and operating a commercial business. At The Mortgage House, LLC, we understand that the search for a good business loan in Fayetteville can be difficult, especially when you are searching on your own for a commercial loan that meets your individual investment needs, goals, and property constraints. That being said, we also understand that with the right support, finding a number of different commercial loans that both fit your expectations and meet your investment budget can be simple. That is exactly why we encourage you to choose the mortgage brokers at The Mortgage House, LLC as your commercial loan company. Our commercial loan brokers are trained in giving you the commercial loan assistance you need, no matter the qualifications of the loan you are seeking. Thanks to our strong origination volume, which allows us to negotiate the best rates, terms, and costs for our clients, and our extensive knowledge and experience in what a good rate, term, or cost really looks like, our mortgage brokers are confident that they can help you find the best commercial loans, whether it is for a small business start-up or for big business upkeep. Not to mention, The Mortgage House, LLC offers a quick and easy electronic loan platform that allows you to spend your valuable time with your commercial property rather than at the bank dealing with a business loan in person. In the end, the resources our commercial loan brokers have to offer you are sure to outweigh the negatives that come with searching for a commercial loan in Fayetteville. So, take the easy road to a secure commercial loan and contact one of our mortgage brokers today to schedule a free consultation. By typing your name below, you agree that all the above information is correct to the best of your knowledge. Your typed name will act as your signature for this application.